HYDRO 2017 opened in Seville, Spain, on 9 October, with welcome and keynote messages from officers of UNIDO, ICOLD, the International Energy Agency, ENDESA, SPANCOLD, the World Bank and Itaipu Binacional; some pieces of music by Manuel de Falla were played by a chamber orchestra which had been founded by the composer. 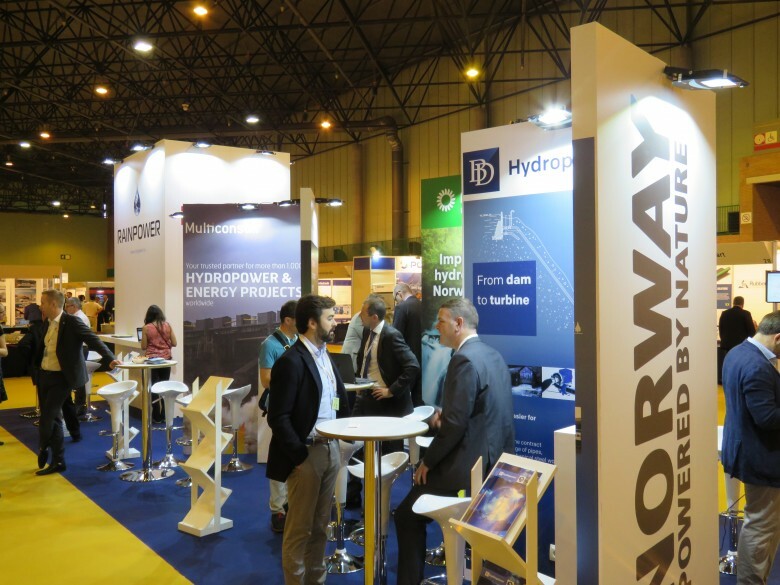 The event, hosted by Aqua~Media International Ltd (publisher of Hydropower & Dams) had the theme ‘Shaping the Future of Hydropower’. In her welcome message outlining the mission of the conference and previewing the session themes, Alison Bartle reviewed some of the achievements around the world over the past year, referring to a number of long-awaited hydro schemes which had moved ahead or where commissioning had begun. 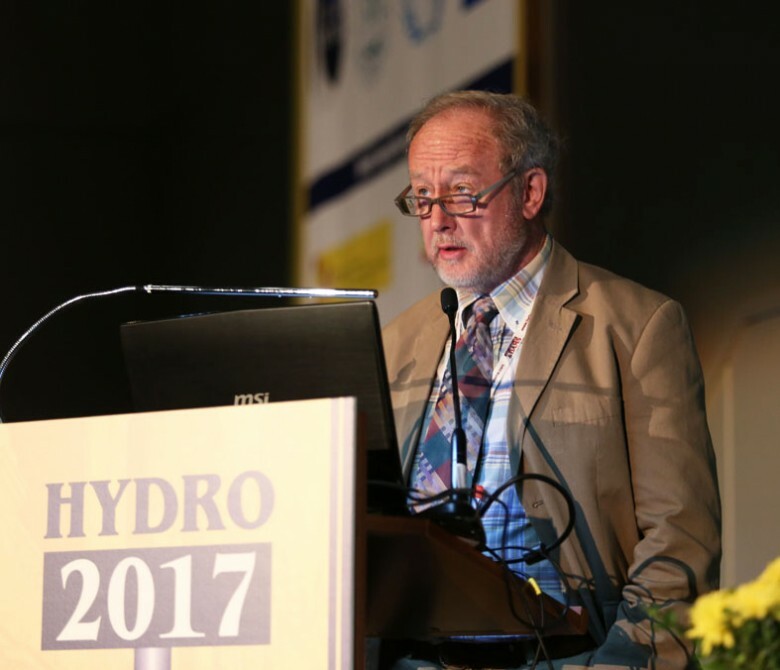 ICOLD President Prof Anton Schleiss, in his opening message, spoke of the continuing need for water infrastructure. He highlighted the role which dams and reservoirs could play in meeting the 16 UN Sustainable Development Goals, and also demonstrated the ‘security belt’ of large dams built around the world in areas which would otherwise be prone to water scarcity. 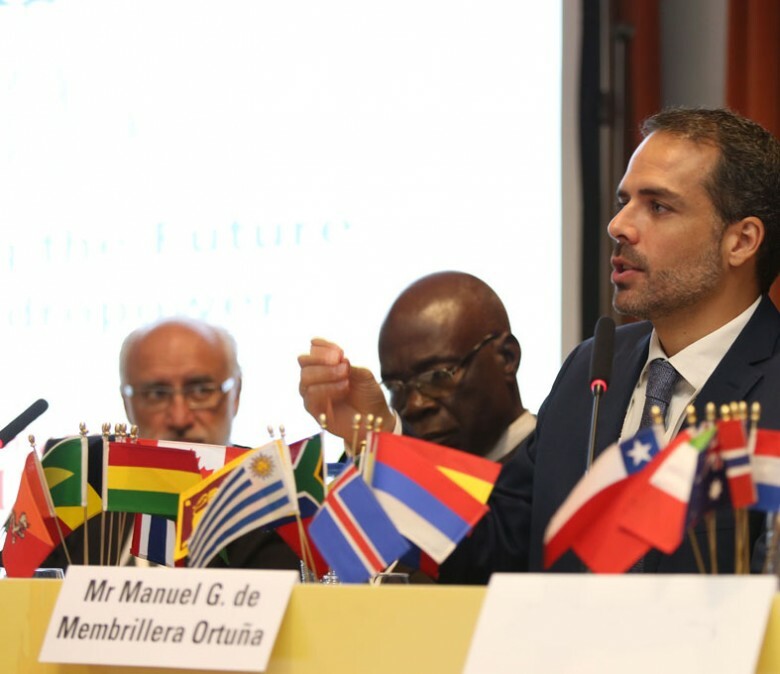 Schleiss added that dams and reservoirs would continue to be vital in many areas, especially as a result of the new challenges presented by climate change. Luciano Canale, Senior Hydropower Specialist at the World Bank, described in his keynote address the two main types of project-based guarantee schemes offered by the Bank: loan guarantees designed to provide risk mitigation to commercial lenders with respect to key government risks which were essential for the viability of the investment; and, payment guarantees, intended to provide risk mitigation to private entities with respect to payment default on non-loan related obligations by government. Canale gave examples of guarantees which had been applied to both public and private hydropower projects. 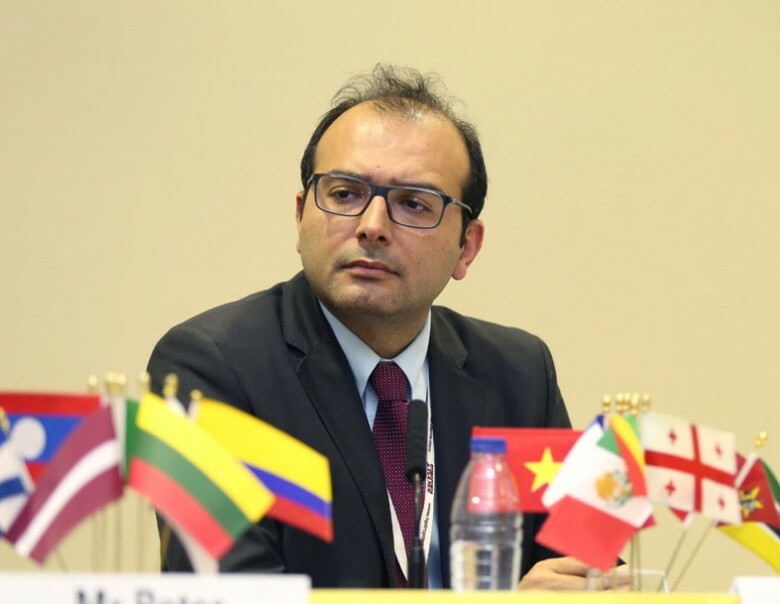 R. P. Singh, of the Renewable and Rural Energy Unit of UNIDO, spoke of UNIDO’s mandate to promote industrial and sustainable industrial development, and the role to be played by renewable energy. He described ways in which UNIDO could support developers of small-scale hydropower, in terms of technology transfer, capacity building, social mobilization and the management of demonstration schemes. He also drew attention to the ‘World Small Hydro Development Report’ which had recently been compiled and launched by UNIDO, based on reports from 160 countries. 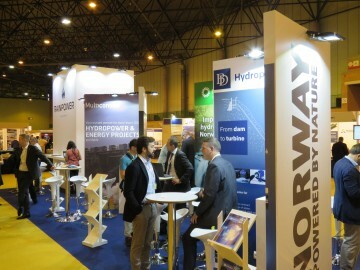 Niels Nielsen, Secretary of IEA Hydro, gave details of IEA’s Cooperation Programme on Hydropower. 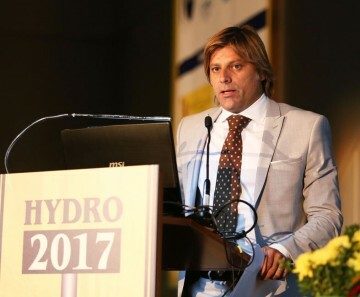 He highlighted current and future activities in the fields of: small hydro; economic evaluation of energy and water management services provided by multipurpose hydro schemes; greenhouse gas emissions from hydro reservoirs; fish protection; modelling cascade developments; and decision-making for hydro plant renewals. 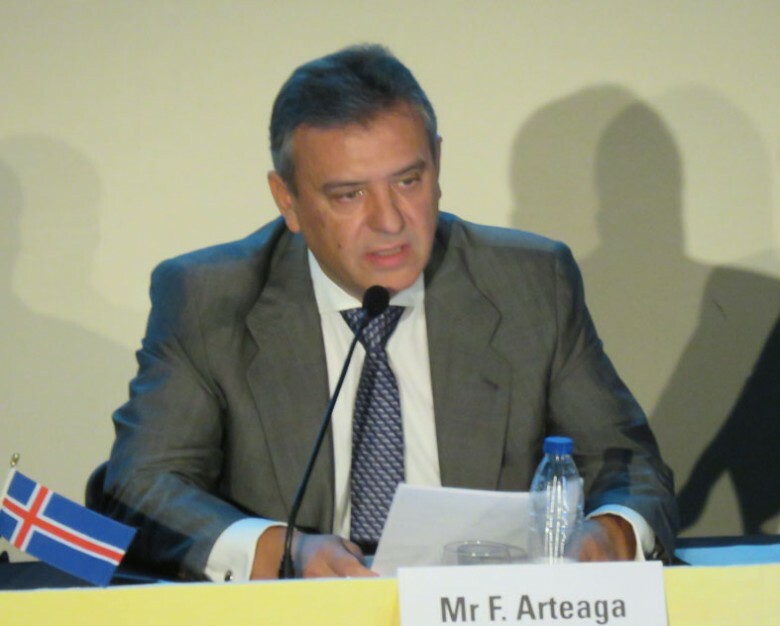 Francisco Arteaga, CEO of the Andalucía and Estremadura division of the Spanish utility ENDESA, described his company’s structure, mission and activities, stressing in particular its commitment to environmental protection and sustainability. 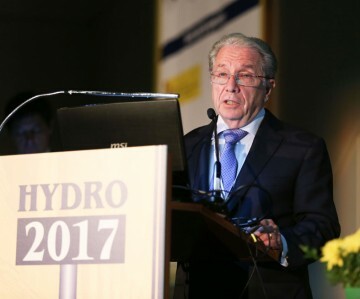 Dr José Polimón, President of the Spanish Committee of ICOLD, outlined trends in Spanish dam construction, and he also stressed the importance of capacity building and training, drawing attention to some examples of work in this field by his Committee. 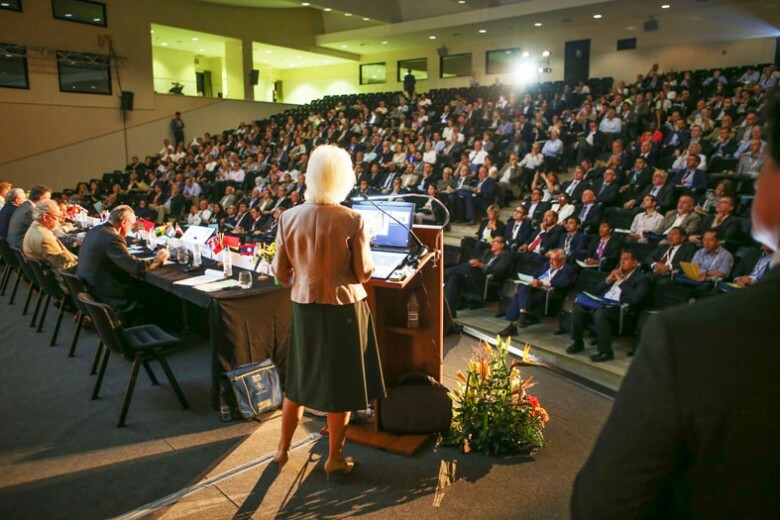 Two side events had taken place on the day before the main conference began: Itaipu Binacional had organized a symposium on the operation of large hydro plants, where operational issues at plants such as Three Gorges and Itaipu had been discussed. 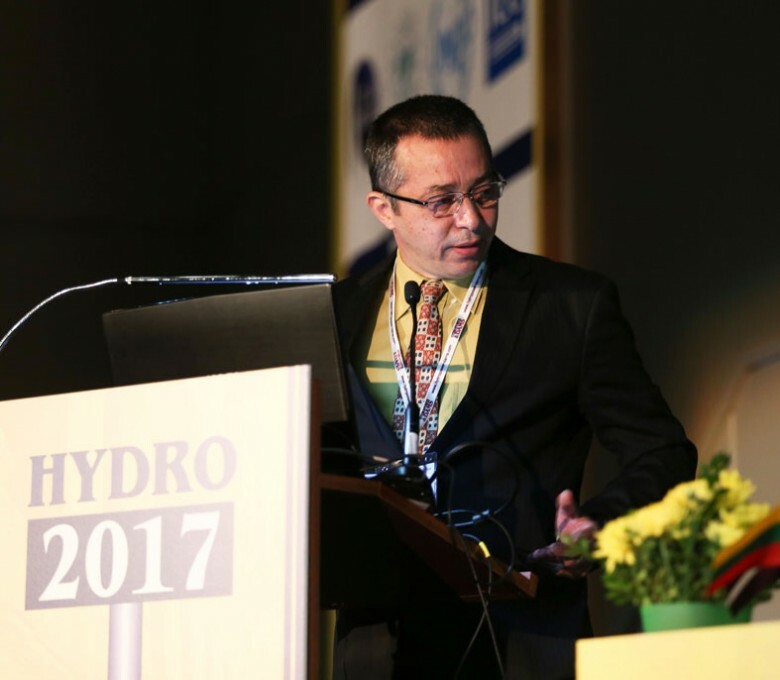 Dr Rui J. Correa da Silva presented some of the outcomes during the plenary opening of HYDRO 2017. The other co-located event was a workshop on small hydro, organized by Prof David Williams and Gordon Black, of Learning Hydro, UK. Around 45 participants worked in groups during the day under the guidance of the tutors, and by the end of the workshop had been able to design their own small hydro plant, based on data from a real project. 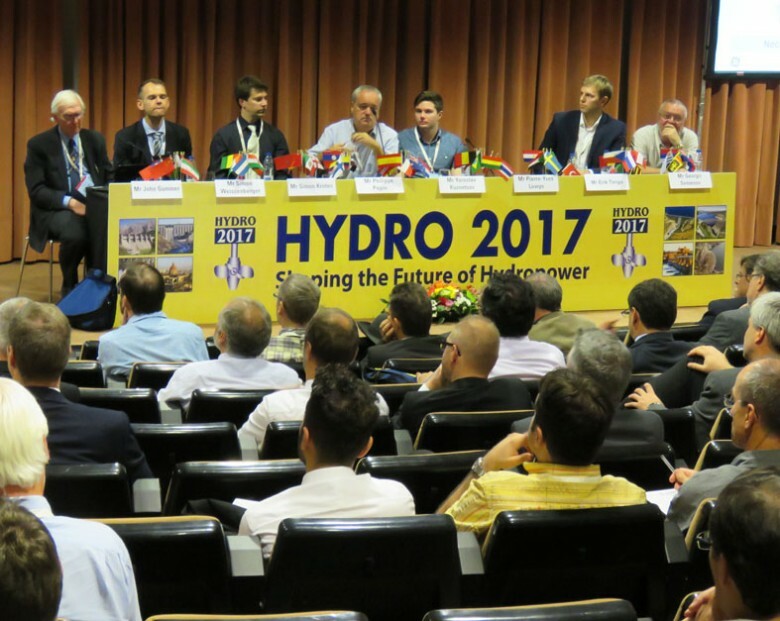 Over the three days of HYDRO 2017, a broad range of topics relating to hydropower planning, development, operation and maintenance were covered, in a total of 35 sessions, running in four parallel tracks. Much emphasis was placed this year on addressing challenges, from financial risk to natural hazards (for example relating to climate and unfavourable site conditions) and man-made hazards (such as requirements for cyber security, and working on hydro projects in conflict zones). Safety was an underlying theme in sessions dealing with dams, powerplants, gateworks and spillways; one talk focused on the safety of construction workers on site. Research and innovation in hydro machinery, the increasingly important role of pumped storage, and the importance of adequate maintenance and timely refurbishment were other key themes of the technical sessions. 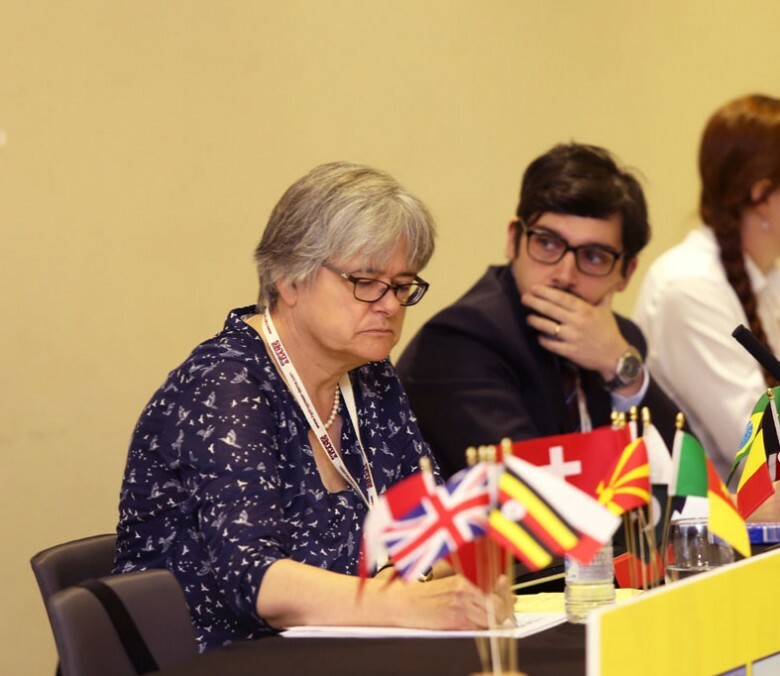 In the environment session, speakers covered a broad range of topics, including wildlife management in Uganda, maintaining environmental flows and water quality monitoring. Chairman Markus Aufleger commented that environmental issues should not be regarded as a tiresome duty but rather as a key element in the implementation of a sustainable and successful hydro project. In a session dedicated to fish protection, speakers covered a variety of cases, from large tropical rivers to cold water streams in the Alps. The audience was made aware of a wide field of research in this field, as well as some innovative solutions such as flexible electric fish fences. 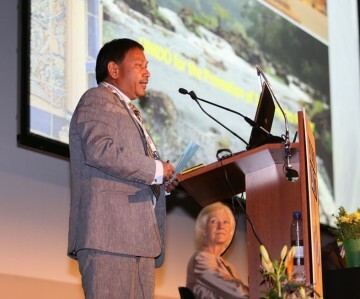 There were two talks about the Xayaburi scheme in Laos, the first run-of-river scheme on the Mekong for which a unique system of up- and downstream fish passage facilities has been developed. On social aspects, presentations covered livelihood restoration programmes, long-term planning for social mitigation, and lessons learned from the Murum resettlement scheme in Sarawak, Malaysia. 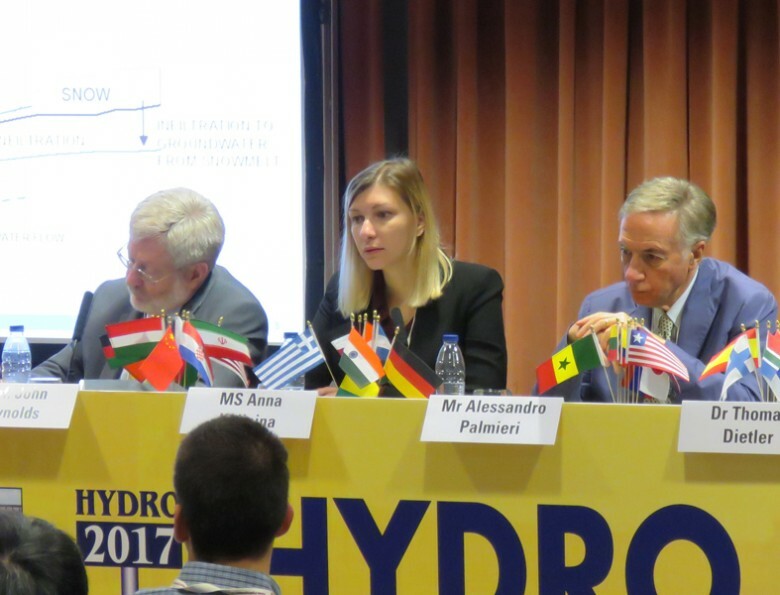 Aqua-Media Director Alison Bartle welcomed participants from 76 nations to the opening ceremony of HYDRO 2017 in Seville. 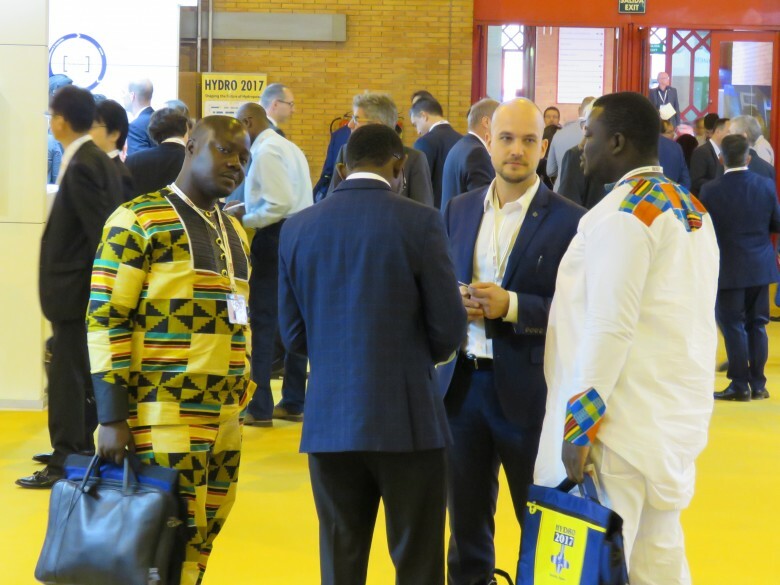 She set the scene by reviewing some of the main developments in the industry over the past year, and drew attention to a few highlights of the conference programme. ICOLD President Prof Anton Schleiss stressed the continuing need for water infrastructure, and demonstrated the role being played by large dams in areas of the world which were vulnerable to water scarcity. 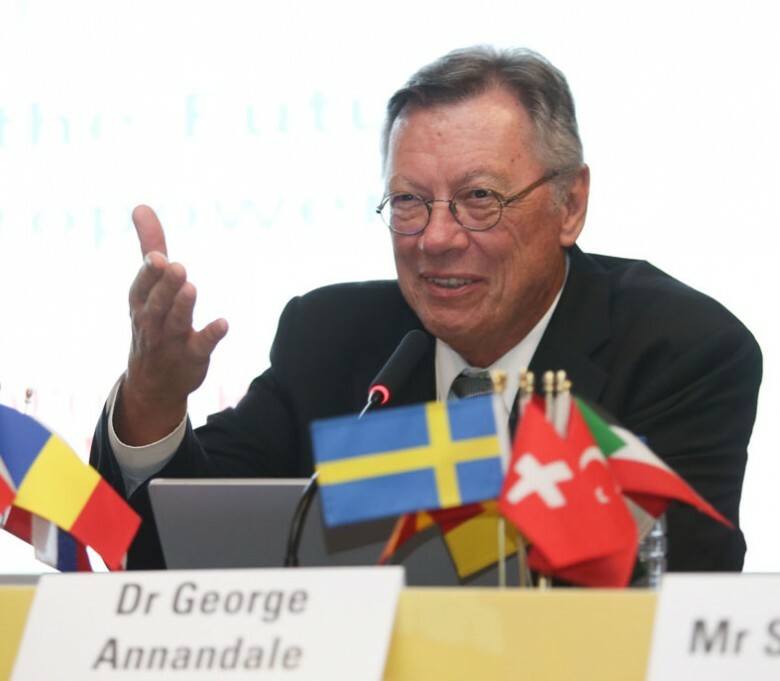 Climate change represented a major challenge for the profession, he said. 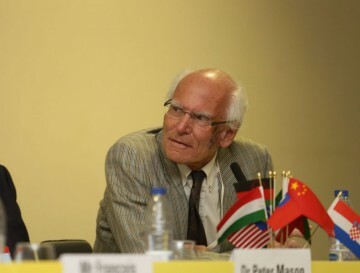 Prof Schleiss later chaired the session on climate issues. Francisco Arteaga, CEO of ENDESA for the Andalucía and Extremadura region, welcomed participants to his country, and outlined the activities of ENDESA. He demonstrated in particular the company’s commitment to environmental protection and sustainability, as well as technical innovation. A general view of some of the delegates at the opening ceremony on 9 October. 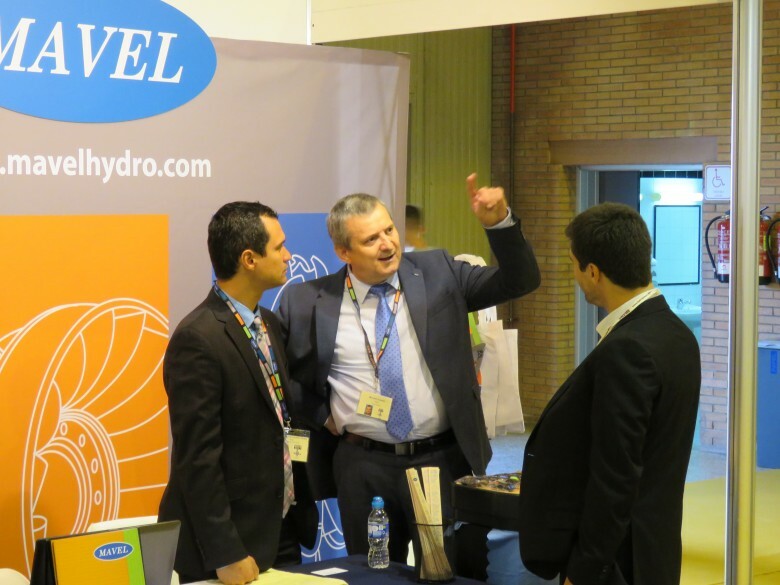 About 1250 participants attended the HYDR0 2017 conference and exhibition. Rana Pratap Singh, Head of the Renewable and Rural Energy Unit of UNIDO, spoke of a major report on small hydro potential which had recently been launched by his Department, and outlined ways in which UNIDO could offer support to developers of small hydropower schemes. Luciano Canale, Senior Hydropower Specialist at the World Bank, describing the Bank’s guarantee schemes, which aim to encourage private sector investment in hydropower. He later co-chaired a session on private sector finance for hydropower development. 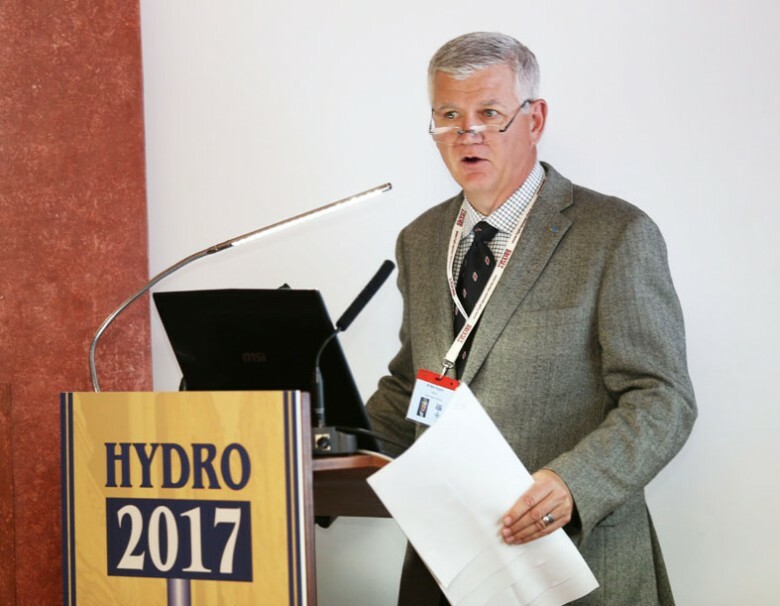 Niels Nielsen, Joint Secretary of IEA Hydro, outlined the missions of the various Annexes of the Agency, giving some examples of current activities. 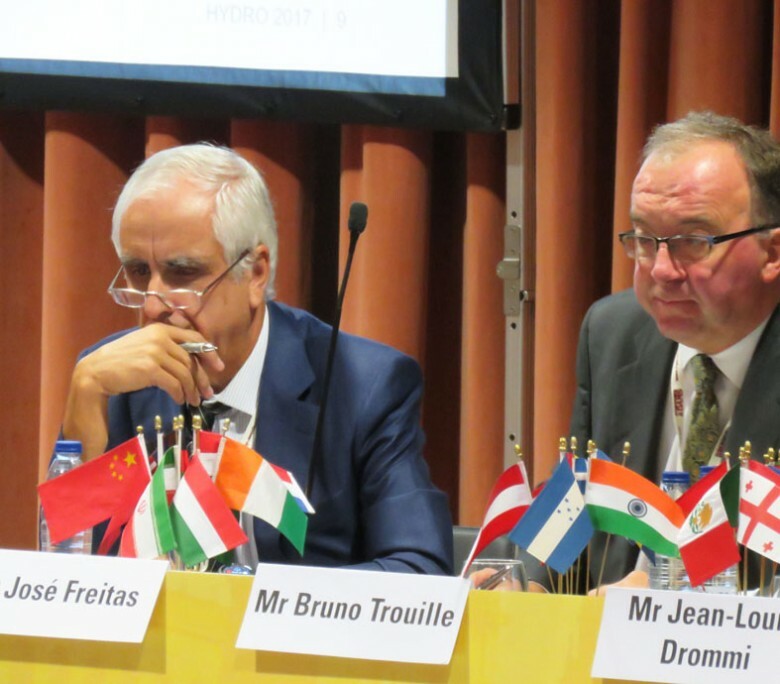 He later chaired the session on greenhouse gas emissions, one of two sessions organized by IEA Hydro. Dr José Polimon, President of the Spanish National Committee on Large Dams, gave a welcome address, in which he outlined trends in dam engineering in Spain; he also stressed the need for more capacity building and training in the field of hydro and dams. 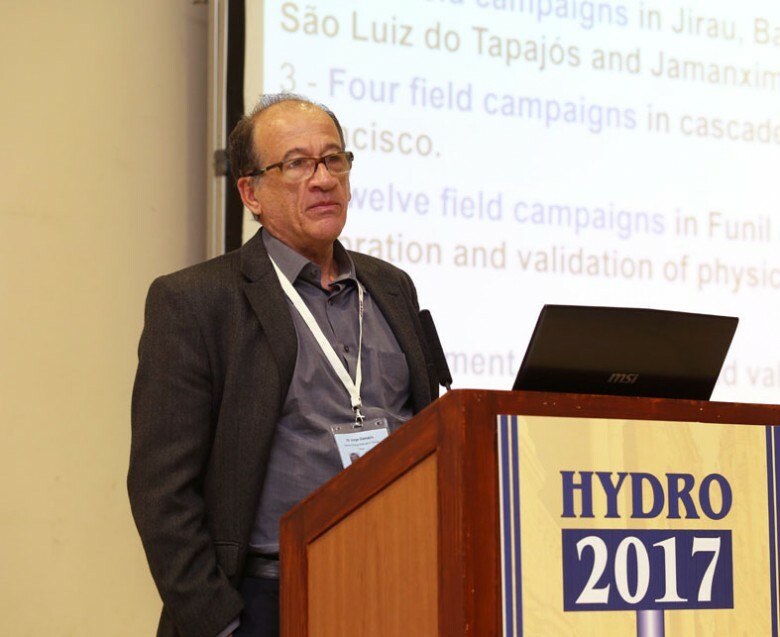 Dr Rui J. Correa da Silva of Itaipu Binacional, Brazil/Paraguay, presented outcomes, during the opening plenary session, of the Second Global Hydro Operators’ Symposium on Large Hydro Plant Operations, which had taken place on 8 October as a co-located event. Jean-Michel Devernay, Consultant, France, chairing the session on cross border collaboration. 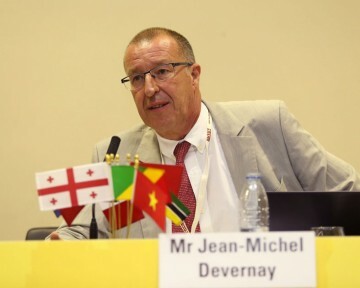 In his closing remarks he commented that the further development of power pools would be essential to help countries such as Nepal, Angola or DRC to unlock their hydro potential. He also stressed that the planning and implementation of future cross border projects would require a holistic approach, integrating water, energy, food, agriculture, health, and all other potential benefits, into a single and sustainable economic development process at the regional scale. 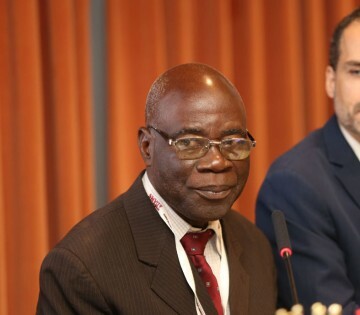 The High Commissioner of OMVG, Mr Lansana Fofana, contributed to the session on cross border collaboration, with an overview of current multi-national hydro schemes in the West African region. Dr Xaypaseuth Phomsoupha, Director General of the Department of Energy Business at the Ministry of Energy and Mines in Laos, spoke of regional collaboration in the Mekong region. 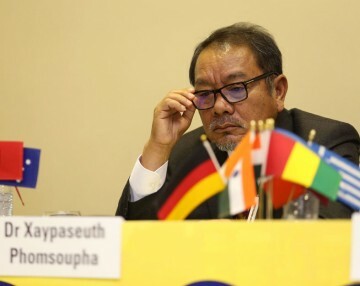 He highlighted in particular the role of the Mekong River Commission. 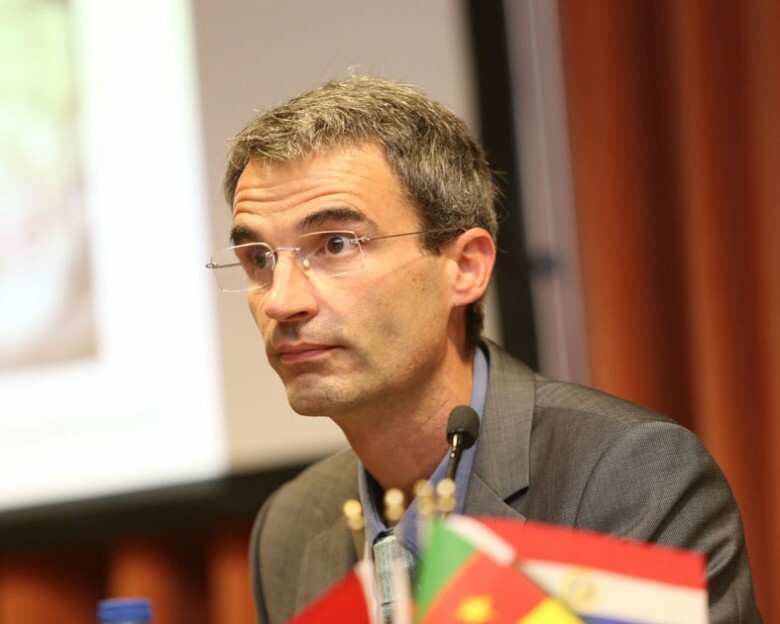 Nicolas Sans, Senior Hydropower Specialist at the World Bank, gave a talk on the support offered by the Bank to countries experiencing violence and conflict, during the session on risk management. He made a second presentation later in the week on the Bank’s recent study on improving operation and maintenance, which focuses on O&M needs and trends in Africa. 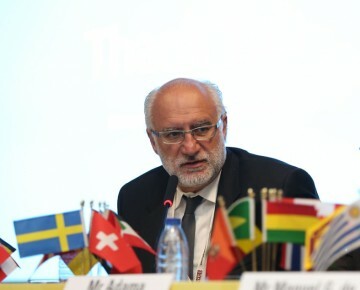 Michel de Vivo, Secretary-General of the International Commission on Large Dams, giving some introductory remarks in the session on capacity building which he co-chaired. Speakers analysed what was currently being done in various capacity building programmes, with examples from Malaysia and Indonesia, and future needs were discussed. Michel de Vivo greeted participants on behalf of ICOLD at the Welcome Reception, where he also expressed his appreciation for the strong collaboration between ICOLD and Aqua~Media. 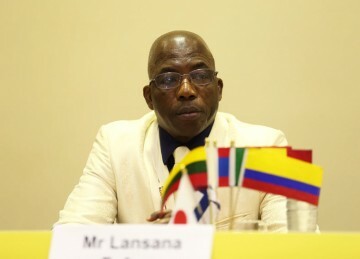 ICOLD Honorary President, Adama Nombre, of Burkina Faso, who co-chaired the session on capacity building. He highlighted the needs of the less developed countries of Africa. He stressed that capacity building should be regarded as a major component of any project, adding that more cooperation between various stakeholders could help improve the situation. Some of the speakers in a session dealing with natural hazards. 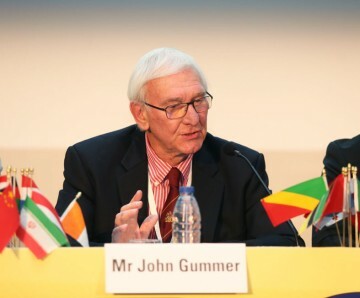 Shown left is chairman Prof John Reynolds, UK. He also gave a talk on geohazard assessment in the session on climate. Beside him is Anna Kalinina of the Paul Scherrer Institute, Switzerland. She discussed risks associated with dams of different types in OECD and non-OECD countries. On the right is Alessandro Palmieri, Water Infrastructure Advisor, Italy, and former Lead Dam Specialist at the World Bank, who spoke of measures taken to reduce risk at Lake Sarez in Tajikistan, and suggested that the lake originally formed by a landslide could now be used to advantage with the future development of a hydro scheme. ICOLD Vice-President Mike Rogers, of MWH Stantec, USA, making some introductory remarks in the session he chaired on civil engineering design. The session covered schemes in Spain, Portugal, France, Pakistan and Chile. General view of the audience during the session on civil design. 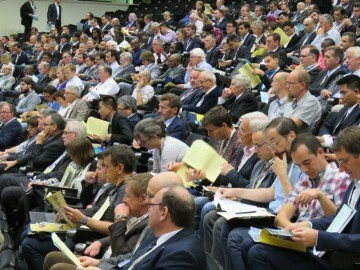 Typically the meeting rooms remained full, with an average of 150-200 participants attending each of the four parallel sessions. Speakers in the session on ‘Unlocking investments in private hydropower’. Shown, from the left, are: Co-Chairmen Luciano Canale (World Bank) and Chris Head (Consultant, UK); and, Mike McWilliams (Mott MacDonald, UK), Paul Kunert (Joule Africa, UK) and Brendan Quigley (Stucky, Switzerland). They are listening to a talk by Olivier Tricca of the European Investment Bank. Dr Jorge M. Demazio of CEPEL, Brazil, discussing management of the carbon balance in freshwater reservoirs, during a session organized by the International Energy Agency on greenhouse gas emissions from hydro reservoirs. Dr Judith Plummer-Braeckman, University of Cambridge, UK, and Emmanuele Bianco, International Energy Agency, France, during a panel discussion on valuing hydropower services. IEA organized and led the session, which focused on placing an economic value on the ancillary services provided by multipurpose hydro schemes. 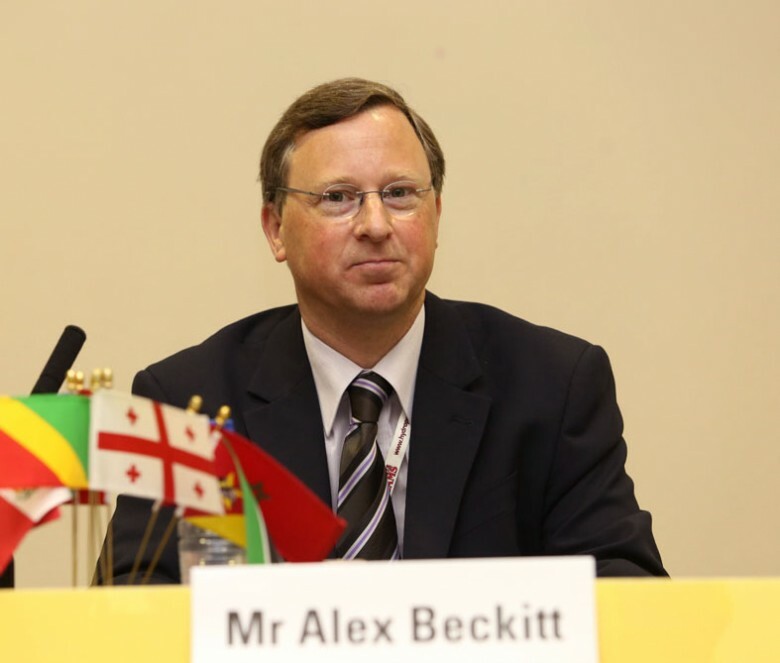 Alex Beckitt, Manager for Policy and Engagement at Hydro Tasmania, Australia, who chaired the IEA session on valuing hydropower services. As part of the session he led a panel discussion on the theme ‘When, how, what and where to maximize the full potential of hydro balancing in decarbonizing electricity markets’. Dr George Annandale, Consultant, USA, who co-chaired a session on sedimentation management with Sultan Alam of France. He also gave a talk in the session on climate issues, on the subject of water supply in the context of climate change. 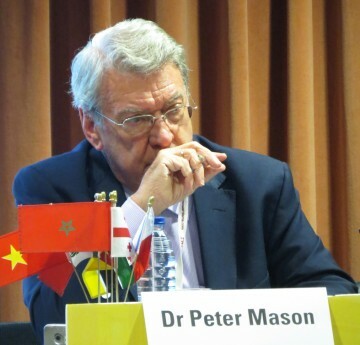 Dr Peter Mason, MWH Stantec, UK, who chaired the session on spillways and plunge pools. In his summary he commented that the continued safe operation of spillways could not be taken for granted, and he stressed the importance of regular monitoring and inspections. 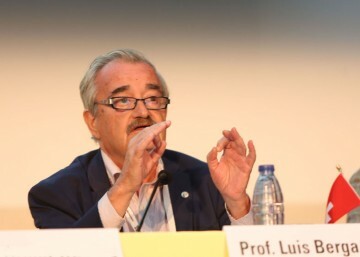 Prof Luis Berga, Hon. President of ICOLD, Spain, who chaired the session on upgrading civil structures, and also presented some concluding remarks in the closing plenary session. 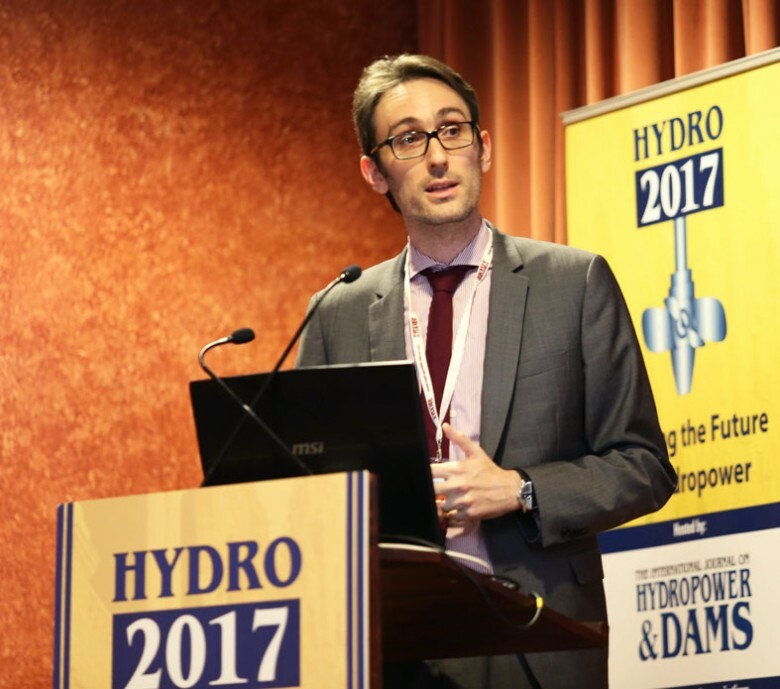 F. Lempérière, of Hydro Coop, France, who gave a talk in the dam safety session highlighting the increasing risk to construction workers, especially in the less developed countries. As construction processes had become more mechanized over the years, risks on site had increased, he felt. He drew attention to ICOLD Bulletin No. 80, published some 25 years ago, which had set out valuable guidelines and stressed that these were still valid today. M.G. de Membrillero Ortuña of Ofiteco, Spain, putting forward some practical suggestions on dam safety training, during the session on capacity building. 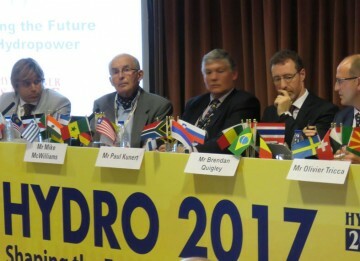 Some of the speakers in the session on research for hydro machinery. 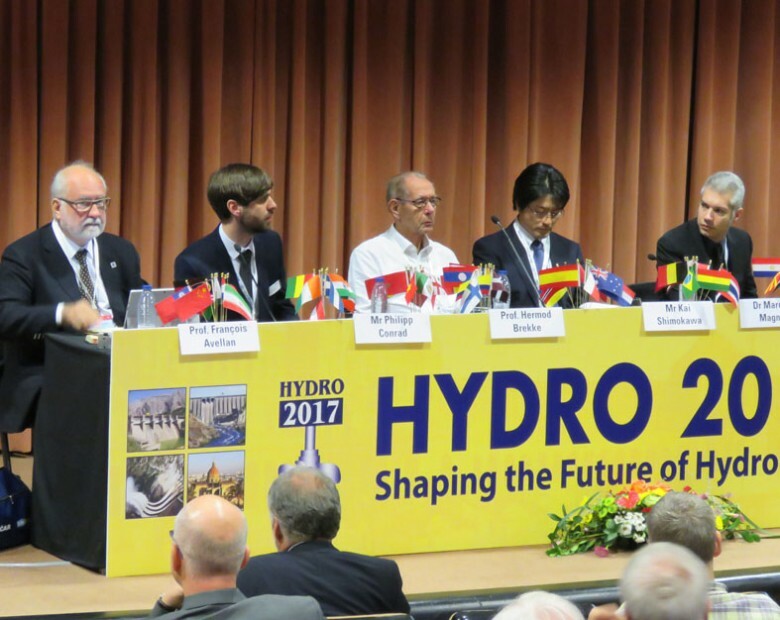 From left: chairman Prof François Avellan, Director of the Laboratory of Hydraulic Machines at EPFL, Switzerland, Philipp Conrad of Voith Hydro, Germany; Prof Hermod Brekke, NTNU, Norway; Kai Shimokawa, Voith Fuji, Japan; and Marcelo Magnoli, Voith Hydro, Germany. Session chairman John Gummer, shown left, and six of the speakers for the first half of the session of ‘Hydraulic machinery: Design and operation’. This session was as usual one of the busiest, with a total of 14 talks by speakers from the leading manufacturing companies, research laboratories and universities. 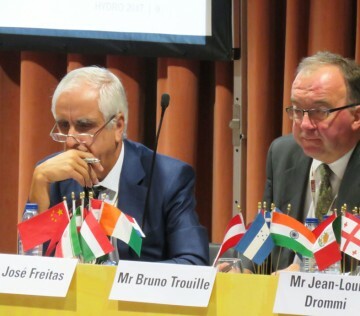 Bruno Trouille of Mott MacDonald, USA (shown right), who chaired the track of four sessions on pumped storage. 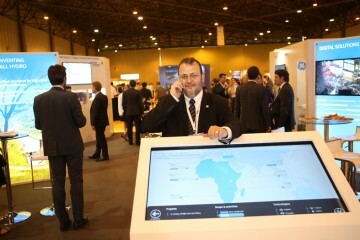 Beside him is José Freitas, Head of Maintenance and Administration at EDP, Portugal, who co-chaired the first of the four sessions. Seven case studies were presented, from which valuable lessons could be drawn. 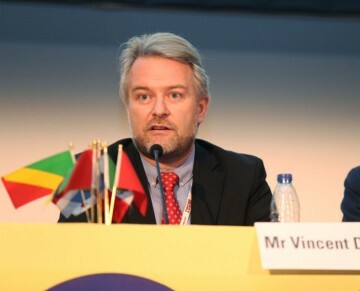 Daniel Paschini of EDF, France, making some opening comments during the session he chaired on operation and maintenance. 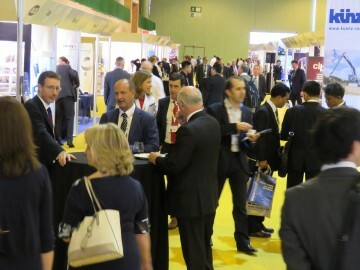 The leading talk in his session gave details of new World Bank initiatives on operation and maintenance; there were also presentations on a new monitoring platform adopted by ENDESA, Spain, as well as several new ideas for inspections and surveillance systems. 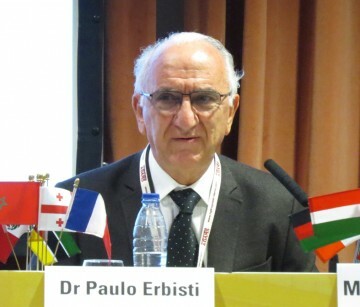 Paulo Erbisti of Brazil, who chaired a session on gates and valves. 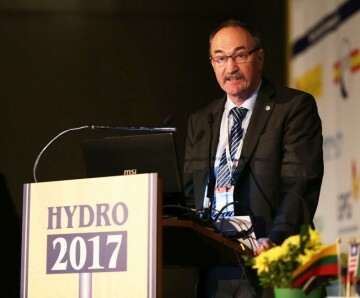 Topics included improving the safety of existing power-operated gates, the commissioning of headgates in France, new intake gates for the Torán reservoir in Spain, enhancing the operating system at the spillway gates of Victoria dam in Sri Lanka, and an innovative design for inlet valves at an Austrian pumped-storage scheme. R. Taherzadeh of Tractebel Engie, France, chairing the session on tunnels. 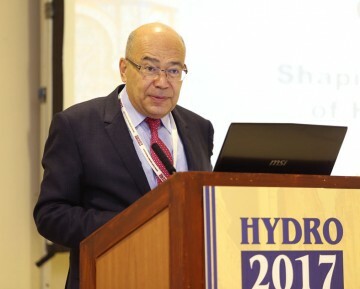 He commented that the talks could be divided into two categories: technologies applied in tunnelling for hydro schemes; and, challenges faced in underground works, at the design phase, as well as during construction. There were contributions to the session from Germany, Italy, Switzerland, Bolivia, Bhutan and South Africa. H. Irfan Aker of Dolsar Engineering, Turkey, introducing the session which he chaired, on project planning and implementation. Speakers covered a wide range of case studies, including projects in Chile, Myanmar, Malaysia, Angola, Cameroon and Ethiopia. Dr Harald Kreuzer of Switzerland, chairing the session on dam safety. He felt the session had highlighted an interesting dichotomy in considering safety issues between large and small dams. 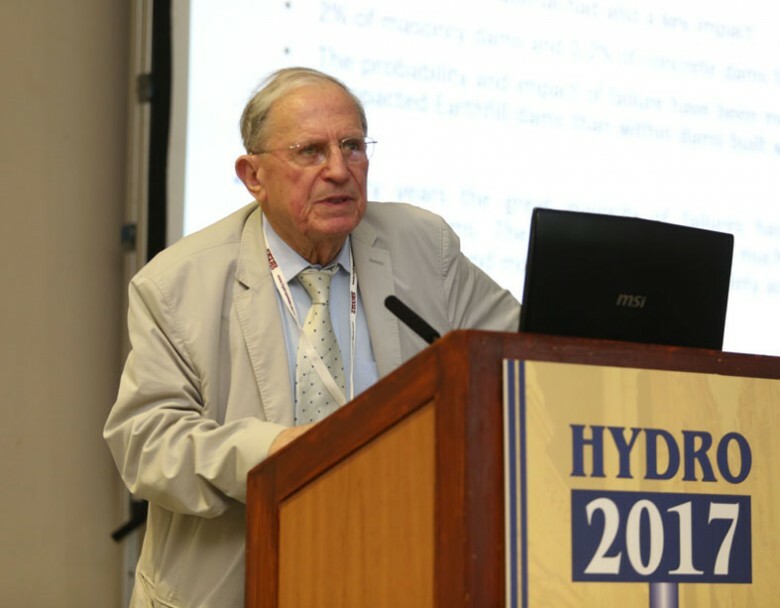 On the one hand there had been advances in the use of risk assessment for large, well documented dams, he said, while on the other hand there was a tendency to neglect the safety of thousands of small dams, where the risks were considered to be less significant. 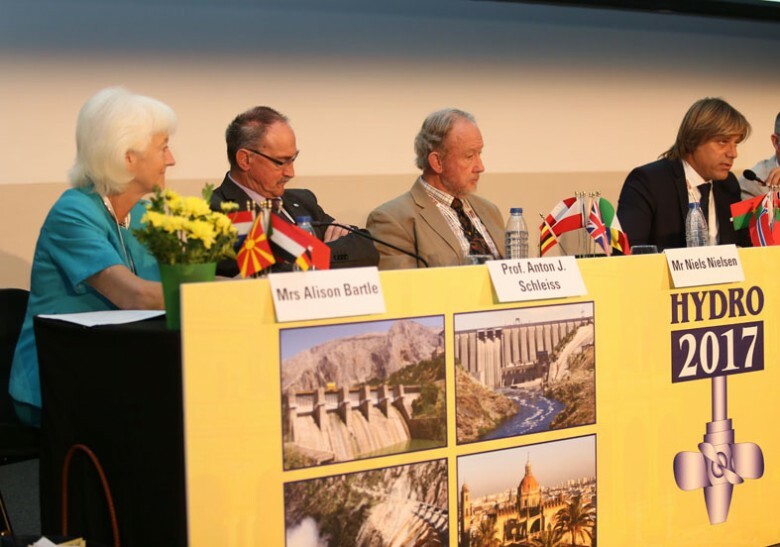 He welcomed the fact that the safety of small dams was to be the subject of a question at the next ICOLD Congress. 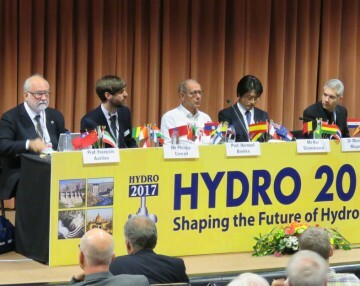 Dr Andy Hughes, UK, who co-chaired (with Dr José Polimón of Spain) a panel discussion on ‘Planning for the next generation of hydro experts’. 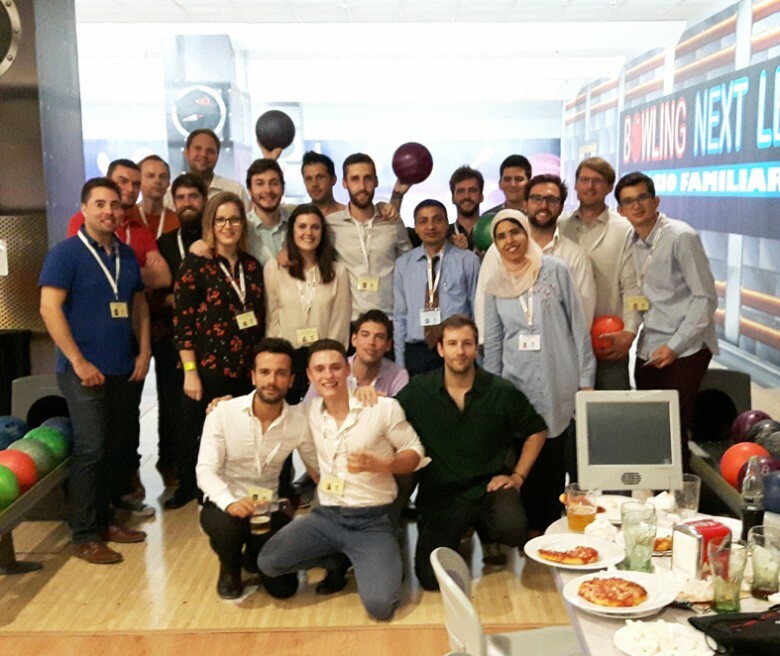 The first part of the session focused on talks by four trainee engineers, in their last year at University, who were participating in a summer programme organized by Multiconsult, Norway. This was giving them ‘hands-on’ experience, working as a multi-disciplinary team for a real client. This was followed by an open forum, which led to the conclusion that succession planning and knowledge transfer was not all about training, but was a complex issue involving many issues and stakeholders. 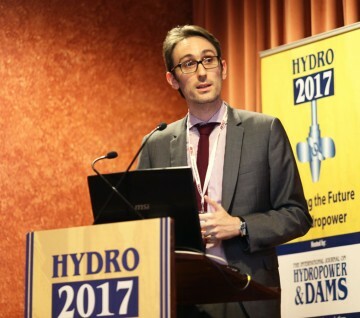 Vincent Denis, Director of Mhylab, Switzerland, who co-chaired one of two sessions on small hydro, with Prof B. Pelikan. 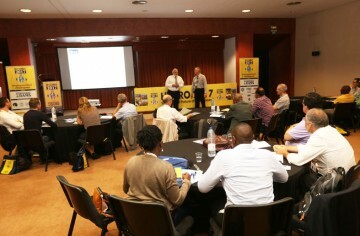 Their session presented some case studies from around the world, and covered projects in Africa, Asia and Europe. Luciano Canale of the World Bank presenting the outcomes of his session, and offering some general comments about the conference, which he described as the “leading event for the hydropower profession”. John Gummer summarizing the presentations on hydraulic machinery, during the closing plenary session. 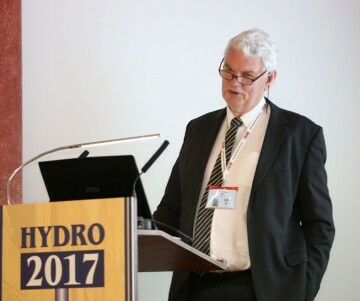 He commended the speakers for covering a broad range of topics within a limited time, ranging from fish-friendly turbines to revolutionary designs for tidal powerplants. Such diversity, he felt, allowed for the presentation of many topics which some participants might not ever encounter elsewhere, and which would give them good insight into problems faced by others in the industry. 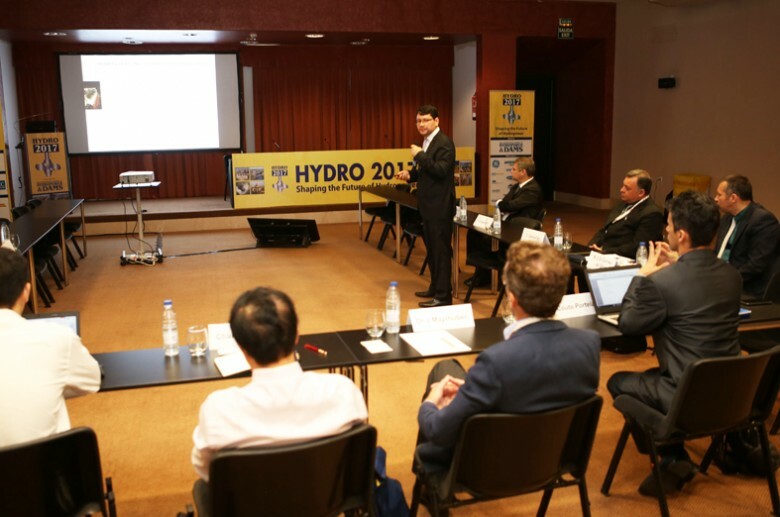 Some of the participants at the symposium hosted by Itaipu Binacional, which preceded HYDRO 2017. 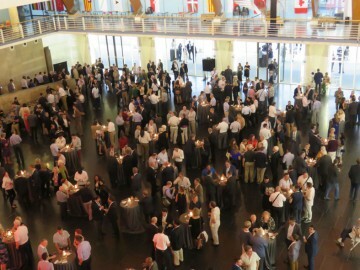 It brought together operators of some of the world’s largest schemes, to discuss operational issues. Prof David Williams and Gordon Black of Learning Hydro, UK, leading the workshop on small hydro which preceded HYDRO 2017. The aim was to train a group of some 45 participants to design a small hydro plant within one day. This was the fourth workshop in the series which takes place alongside Aqua-Media’s regional and international conferences. The Andritz stand in the Technical Exhibition. 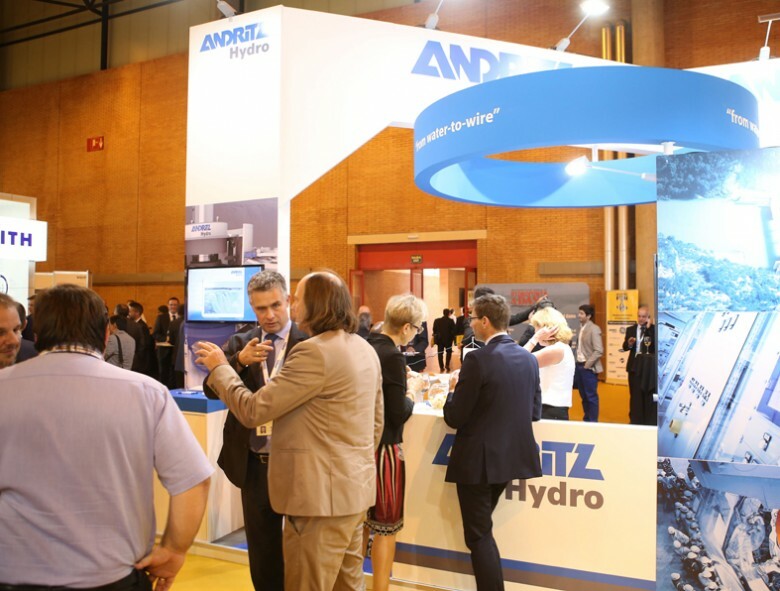 Andritz sponsored a lunch during the conference, and engineers contributed papers to the sessions on hydraulic machinery and pumped storage. 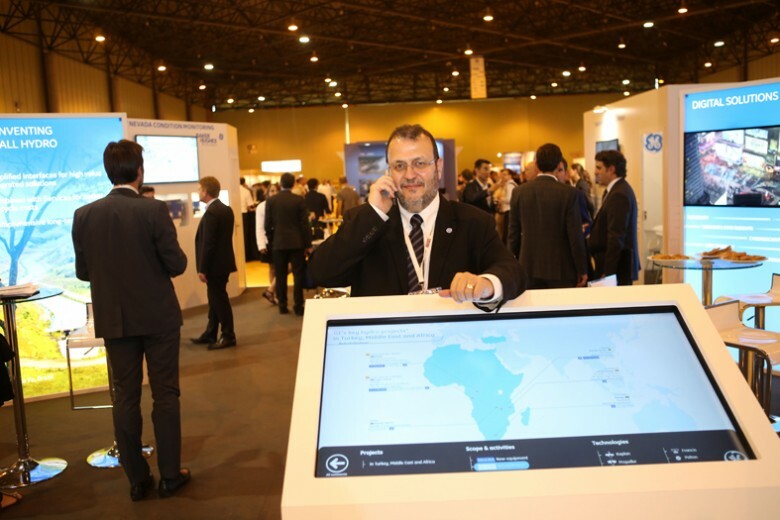 A view of the GE Renewable Energy stand, in the HYDRO 2017 Technical Exhibition. This company was a major sponsor of the conference, having co-sponsored the conference venue. 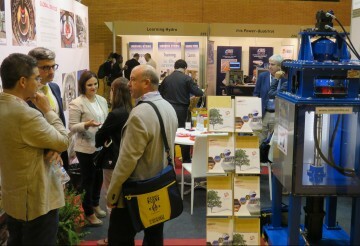 GE engineers presented papers on hydraulic and electrical machinery, and on powerplant refurbishment. The Voith Hydro stand during one of the refreshment breaks. 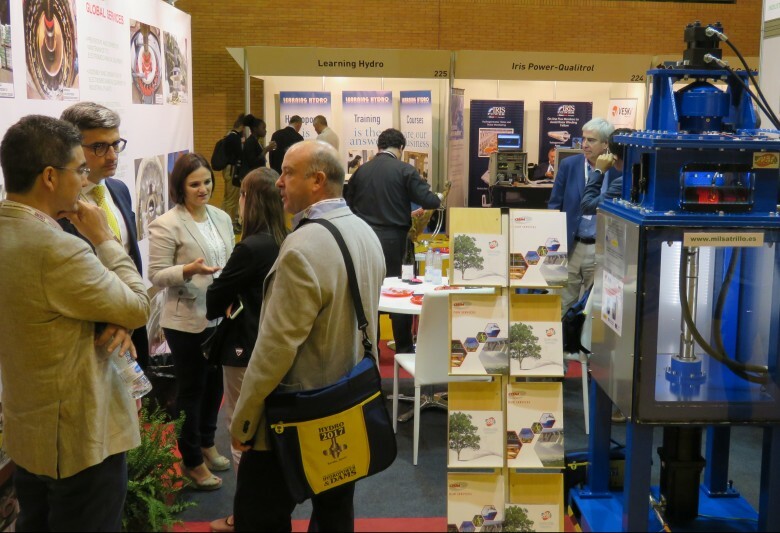 Voith engineers presented papers on hydraulic research and machinery, as well as on operation and maintenance and powerplant upgrading. 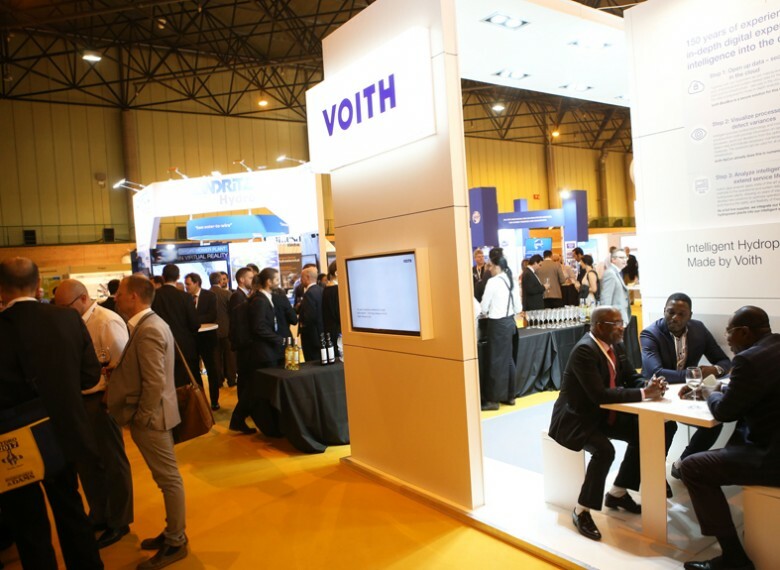 Voith was also a lunch sponsor. 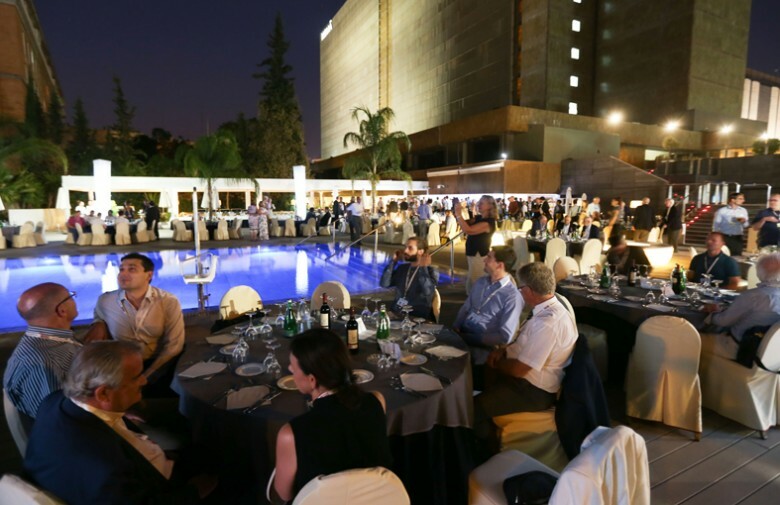 In addition to some conference sessions of special interest to young engineers and students (which focused on training and succession planning), as usual a special social evening was organized, by Steve Usher of Aqua-Media. 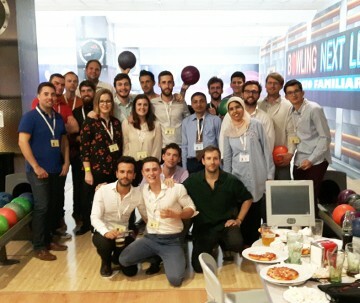 This year a group of about 45 young people went bowling together, which provided an additional opportunity for informal networking. The social programme at HYDRO 2017 began on the evening of 8 October with a reception and buffet supper for session chairmen and speakers. Delegates arriving for the HYDRO 2017 Welcome Reception, which took place at the Pabellón de la Navigación (Maritime Museum), overlooking the Guadalquivir river. More than 1000 delegates and accompanying persons attended. 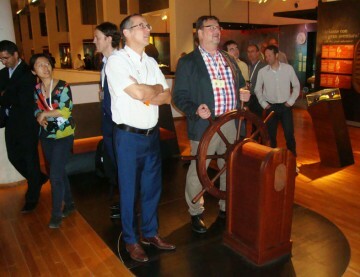 Some delegates explore some of the interactive exhibits in the Pavillion of Navigation during the reception. These participants are shown enhancing their HYDRO 2017 experience by steering a simulated pirate ship. 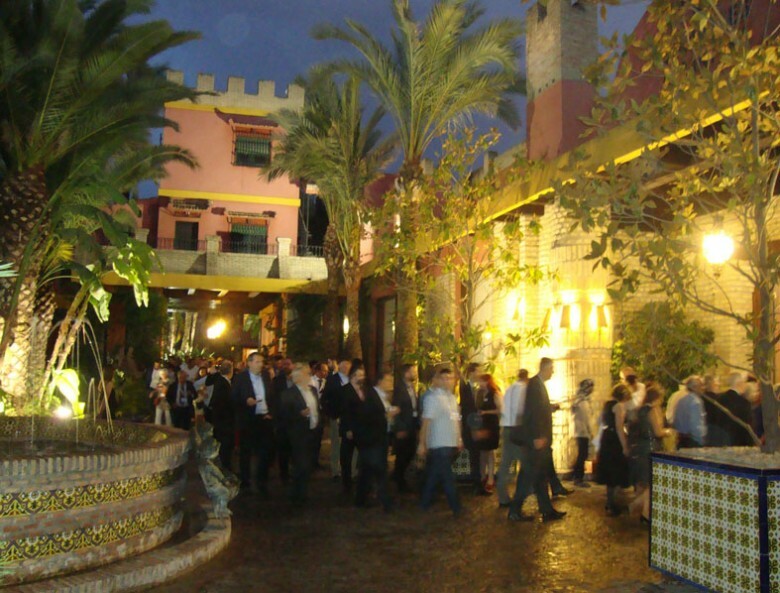 Delegates arrive at the Hacienda San Miguel de Montelirio for the HYDRO 2017 Farewell Gala Dinner. During the apéritif they had a chance to view a unique display of antique carriages. 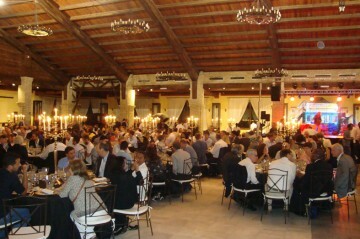 Dinner is served; about 900 delegates attended the gala dinner, which was generously co-sponsored by ENDESA, Spain. 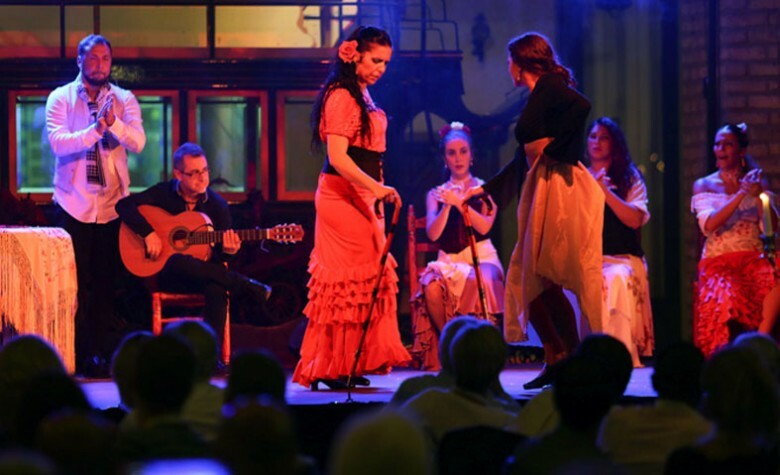 During the dinner delegates were entertained by a flamenco dance company, who performed some highlights from Bizet’s opera Carmen (set in Seville).